How has the hotel and restaurant trade developed over the last 20 years? The hotel sector has undergone significant changes over the last decades. The markets are ever more competitive and the customers, with internet access, have become much more demanding, requiring the best products and services. Development in figures: the hotel and restaurant trade in Spain has always played a key role in job creation and the economic growth of the country. A report by Ernst & Young shows 5.6% growth in the sector from the year 2000 to 2008, which was the year in which the economic crisis dramatically affected turnover in the accommodation and food and drinks sector. The reduction in income forced many Spanish people to take austerity measures and reduce their visits to restaurants, bars and hotels. It was not until the end of 2014 that the business figure of hotel trade establishments began to rise again, bringing six years of recession to an end. From small to large establishments: The Hotel Trade Federation (Fehr) estimates that 95% of businesses in the hotel sector in Spain have fewer than 10 workers. Since a number of years ago, more and more large chain establishments have been opening. These had grown by 7.8% in 2017. Changes in consumer behaviour: the way that Spanish consumers go out has changed over recent years, according to Nielsen consultants. More specifically, a 30% fall in night-time consumption has been detected over the last 10 years in favour of daytime consumption, which has increased thanks to the growing trend of the aperitif and after-work get togethers. Rise in gastronomy: Spain has been an outstanding country in terms of gastronomy for a number of years, and currently holds 7 restaurants ranked among the top 50 in the world. At Fagor Industrial we are very proud to work with 5 customers ranked in the world’s ‘50Best’. More and more Spanish people are entering into the gastronomical experience, bringing value to product quality, good service and style. This brings with it the continual growth of the foodie – food lover – trend. The explosion of the internet: Consumers are ever better informed and connected, and demand quality in their experiences in the restaurant sector. Now more than ever, a poor service can cost an establishment dearly. In the age of the internet, consumers have a louder voice than ever, and can decisively influence restaurants’ reputations through their online opinions. 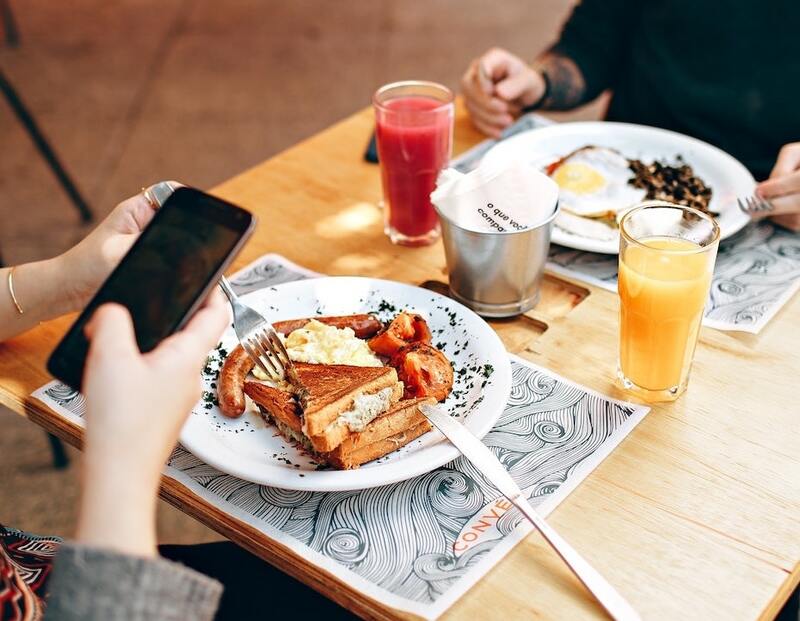 On the other hand, the popularity of social networks like Instagram on which diners share photographs of their dishes, is key to the marketing and outreach strategy of restaurants, bars, cafés and hotels. The restaurant trade has developed very rapidly and with many changes over the last two decades. Overcoming the economic crisis, the explosion of the internet and Spanish consumers’ habits, have transformed a sector which is making an ever greater commitment to innovation.